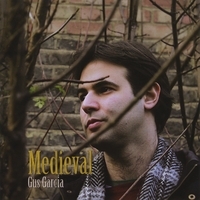 Back in 2009, London-based Gus Garcia unleashed his debut EP, ‘Many Hiding Places’. Although it contained a mere three songs, it was interesting and diverse enough to make one believe that he wasn’t just jumping on the bandwagon of so many 1960/1970’s-styled troubadours who came before him. Garcia possesses a highly appealing vocal which sounds lived in and is rich in tone and emotion. He uses this to great effect on the opening ‘Clocks And Crocodiles’. Instrumentally it’s a fairly simple song but Garcia’s personality turns it from average songer/songwriter fare in to a showcase for an original artist. ‘Rhythm’ is based on a jagged but insistent riff and – appropriately enough – crisp percussion but ‘Two For One’ relies on just Garcia and acoustic guitar and the artist lives up to the spare arrangement with his warm delivery, before the song bursts in to a fuller sound for its denouement. However, the title track is possibly the standout; Garcia’s vocal is full of yearning and doubt, echoing the underlying, undulating melody. That just leaves a haunting piano lament named ‘The Sailor’. Garcia has built on the potential of ‘Many Hiding Places’ and in turn added more strings to his bow. Already he has established a distinctive singing style and his gift for writing top tunes is there for all to see. 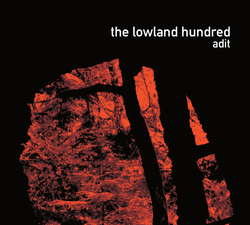 After reading that Aberystwyth’s The Lowland Hundred had been compared to the likes of Talk Talk and Robert Wyatt, it was the ultimate no-brainer to accept it for review. ‘Adit’ is a quick follow up to last year’s well-received ‘Under Cambrian Sky’ and builds on the duo’s fascination with the British seaside. There are all kinds of good things happening on ‘The Hushing’. Whilst the jazz time signatures certainly recall late-period Talk Talk, the worried, vulnerable vocals bring Robert Wyatt to memory. So it seems the press release was entirely accurate. Furthermore, ‘Rest Harrow’ is tender and warm with the minimum of instruments and seagull cries to accompany it. Yet with little room for conventional song structure there are naturally moments when the album drifts. The sombre ‘Scree Talus’ errs towards the over-ponderous and you wonder whether it’s aimed for the theatre stage rather than alternative music venues. Thankfully, the enduring memory after listening to the record will be a positive one because the last track – the elegant and touching ‘Salt Water Bathing’ – captures the sad romance of a relationship forged decades ago. Nevertheless it’s an album which could have been a lot better than its promise indicated. No one expected this to be a record full of hits but in its quest for texture and atmosphere, there are times when the overly subtle arrangements struggle to connect with the listener. It must be difficult being Björk Guðmundsdóttir. As one of the most individual and experimental performers of the last twenty years, each album delivered carries a certain amount of pressure as media and fans alike ask “What will she do next?”. This air of expectancy has proved to be a curse rather than a blessing in recent years because, whilst she never fails to sound hip and modern, this is frequently achieved at the expense of emotional reach. ‘Biophilia’ – despite its ominous concept album status – should satisfy those who value her voice and effervescence above her sense of adventure. The early signs are promising. ‘Moon’ begins with Björk and a fixation with the harp but more pertinently she sounds young again. ‘Thunderbolt’ opts for her favoured electronica but it’s used sparingly and the female choir is the more memorable form of accompaniment. ‘Crystalline’ does dispense a greater weight of beats (including a drum and bass segment) but the important factor is that the tunes and hooklines are to the forefront but it’s on ‘Cosmogony’ where the revival is truly underway; against a backdrop of subtle horns, Björk’s performance is as heartfelt as it has ever been. Naturally, the Icelandic maverick remembers she has to play the Icelandic maverick at times and it’s unlikely avant garde moments like ‘Hollow’ will be featuring on any future Best Of compilations. It is just a blip, however. ‘Virus’ overdoes the twinkly atmospherics but it’s still a fine song then near the end there’s ‘Mutual Core’, possibly the most confrontational moment on the record but the shuddering chorus turns out to be exciting rather than disturbing. 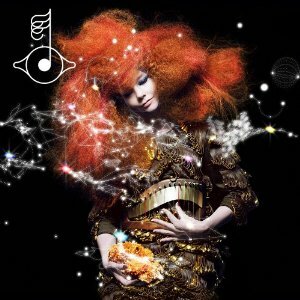 The overriding message from ‘Biophilia’ is that Björk shouldn’t feel the need to take the lead for others to follow. Instead, by concentrating on songwriting and emotion, she can achieve so much more. This approach has resulted in her producing her best work since 2001’s ‘Vespertine’. 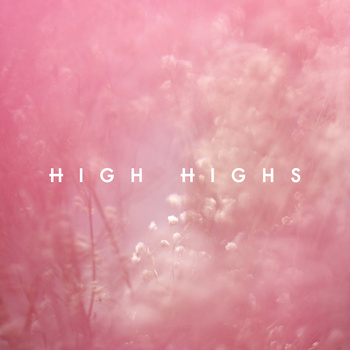 High Highs were formed by Australians Jack Milas and Oli Chang a couple of years ago but they didn’t begin taking their music seriously until they moved to New York. Obviously, the move was an inspired one. Their new EP is characterised by hushed vocals, spare but echo-heavy production, crisp guitar lines and smooth keyboard washes. 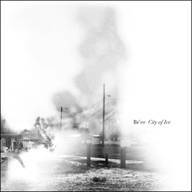 Even considering its dreampop roots, ‘Flowers Bloom’ is still a heavenly listening experience. Against a backdrop of shimmering electronica, Milas’s blissful sighs float along effortlessly. Whereas that first track is slightly haunting, the acoustic-based ‘Open Season’ is more uplifting. There’s a real sense of wonder to the stripped back ‘Ivy’ as the intimacy of Milas is complimented by raindrop-evoking piano keys. In contrast, ‘Horses’ is the most dramatic moment, thanks largely due to its strident guitar work forming the pay-off when, for most bands, a chorus would suffice. With support slots for Jose Gonzales and The Radio Dept already on their CV, one expects we will be hearing a lot more from High Highs in the future. Happily, this is a band who live up to the lofty ambitions of their name too. The 21st Century has certainly produced its fair share of males who favour the theatrical side of music. The danger is they can fall in to trap of self-parody and sometimes you do wonder whether the theatre is the bigger calling than the music. There are no such worries about Benjamin Schurr AKA Br’er. He is certainly a born performer but there is a real strength to this album which embraces songwriting as well as production. Contrary talent that he is though, the record begins in the most anti-commercial way. A woozy, mournful accordion ushers in the crazed vocals of Schurr. It is, however, a track which makes you stand to attention whether you like it or not. ‘Milk Of Kindness’ takes a slightly vaudevilian route and serves as a neat introduction to ‘You Go, We’ll Stay Here’, here Schurr truly extends the richness and passion in his voice for the first time; the crunching beats adding a modern touch to this torch song. The excellent form is maintained through the middle of the album. ‘Sea Of Doubt’ balances military percussion with an eerie sea shanty style melody whilst ‘The Butcher’ strips the arrangements back even further so it’s basically just Br’er and a harp. The effect on both is quite remarkable; slightly queasy yet haunting and beautiful all at once. If the album has its flaws it’s in the second half where his confidence with the avant garde gets the better of him. His cries of “like a riding crop across my back I want you” against industrial noise (from ‘Safeword’) is certainly arresting but it’s unlikely to be a moment that fans will look forward to hearing again. Not that his voice needs much embellishment, Br’er is also an expert arranger as he cleverly combines old and new instruments together. Whisper it quietly but he’s not far removed from a female version of Björk really. 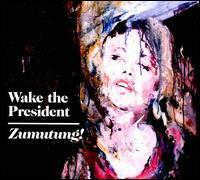 Review: Wake The President – Zumtung! As Orange Juice and Josef K are named influences for so many of today’s indie pop artists, it’s time for Glasgow’s Wake The President to make their own history. They proffer a similar range of literate, jangly rock but it’s also obvious they are Scottish, given their accented vocals. ‘Your Expressions’ features a rockier chorus but its largely distinguished by clever key changes from both guitarist Bjorn Sandberg and his twin brother Erik on vocals (yes, they are half-Swedish). There’s also a fondness for New Order since the bass is particularly prominent and driving for ‘In Youth There Is Pleasure’ and the excellent ‘This Is New’. The occasionally lighter material (‘The Last Exit For The Lost’) does sound a little bit indie-by-numbers but then they produce a riveting number like ‘E.T.’ which signals a change in pace and a gift for arrangement which stretches beyond their obvious influences, whilst ‘Stockholm’s Archipelago’ is a heart warming ballad to end with. ‘Zumtung!’ is a very promising album (their first was released in 2009) which starts off like an indie pastiche but by the end of it, there’s a sense that this is a band not content to trade on the glories of their exalted countrymen. In fact, by the end of it, the Orange Juice comparison even seems irrelevant. Boltfish have released a number of fine albums over the years but it’s been a while since one has really grabbed my attention. 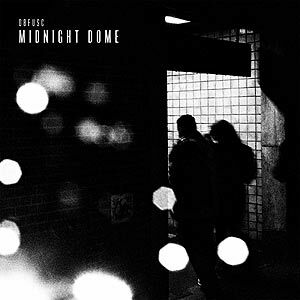 Enter Obfusc’s ‘Midnight Dome’; the third album from New York photographer and graphic designer Joseph Burke. After an initial intro of some rushing water, ‘Hologram Grip’ sounds vital as soon as its motorik rhythm is joined by a mysterious electronic melody and when layers of guitar and voice samples are added, the effect is a favourable comparison with those masters of instrumental intrigue, Boards Of Canada. ‘Oceanic Glow’ also recalls the 1990’s ambient folk sounds of Ultramarine. Album highlight ‘Our Signals Coalesce’, meanwhile, cleverly shifts soundscapes with twanging guitars and it’s that juxtaposition between “real” instruments and beats which is the key to Burke’s best work. Perhaps another key to the success of ‘Midnight Dome’ is its seamlessness, with each track effortlessly drifting in to the next, often linked via those aforementioned rushing water effects. Naturally, it’s also embedded with atmospheric and evocative music which makes the listening experience thoroughly involving.